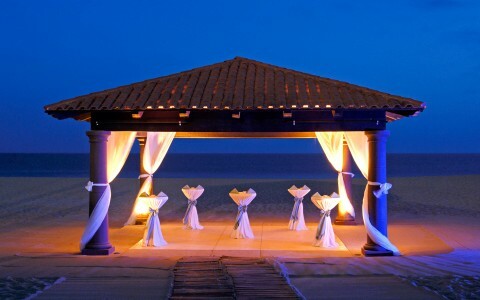 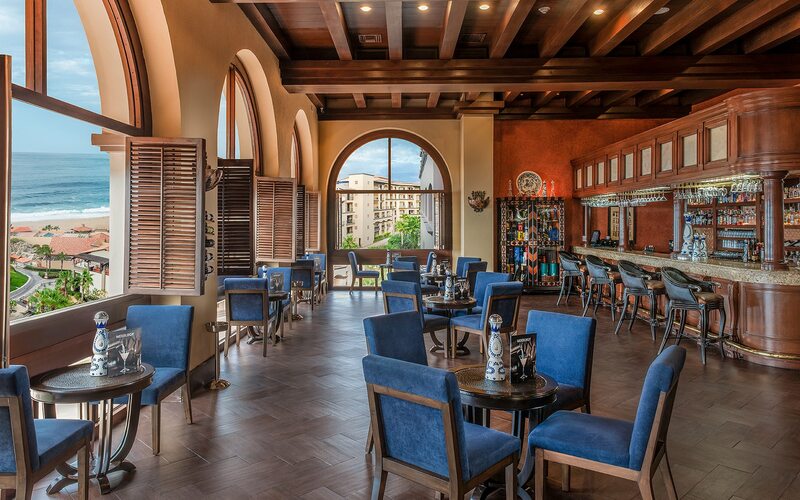 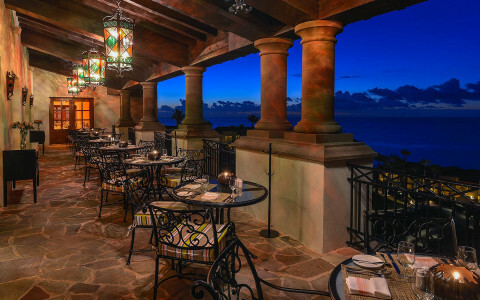 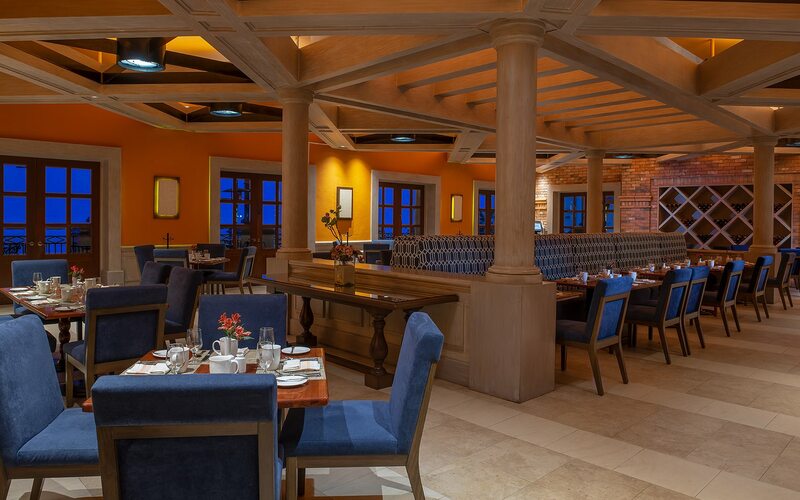 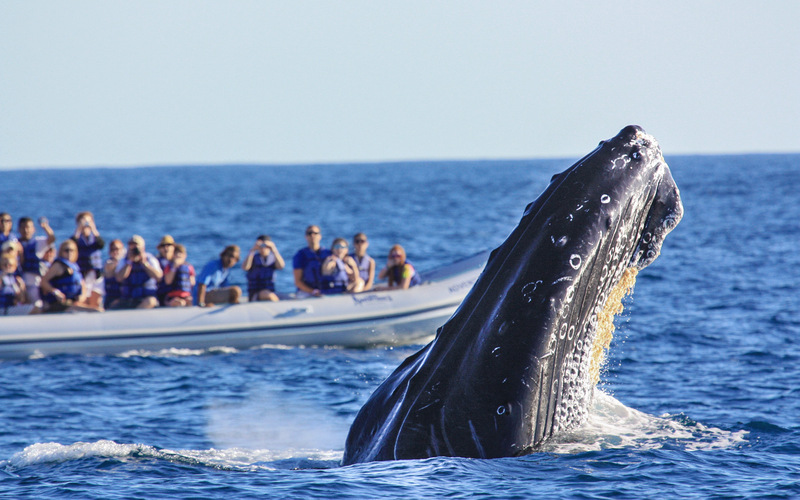 Step into a world of unforgettable moments at Pueblo Bonito Sunset Beach Golf & Spa Resort. 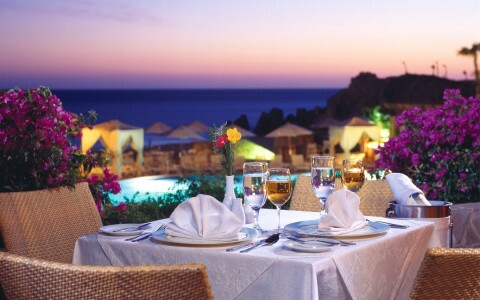 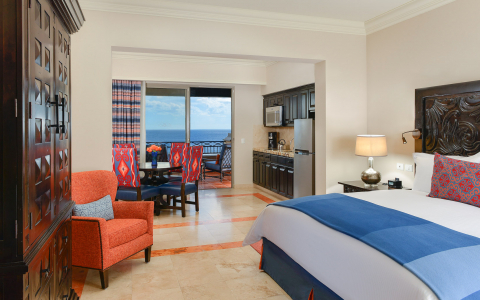 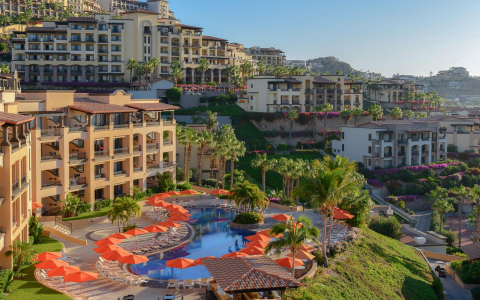 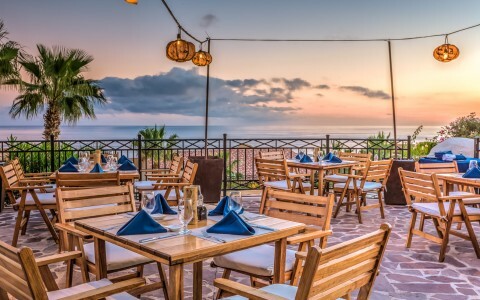 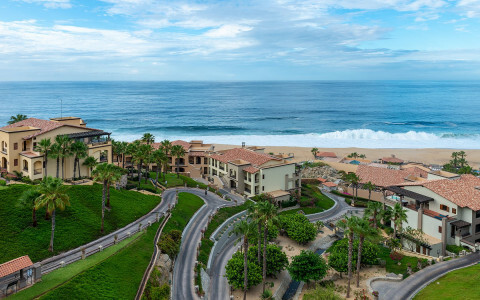 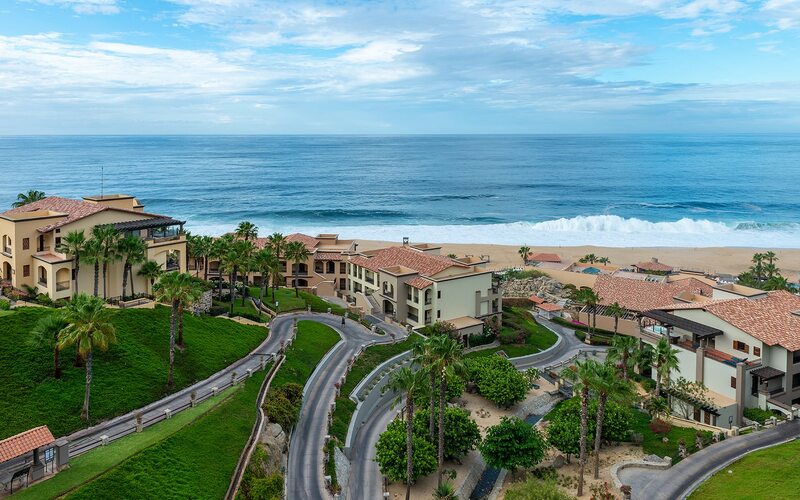 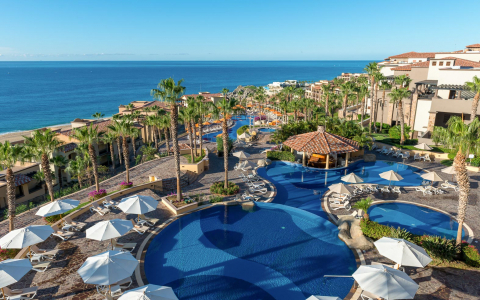 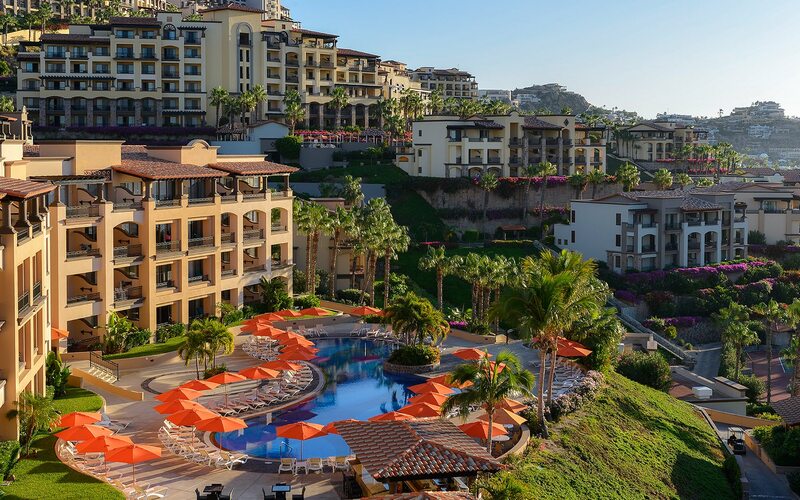 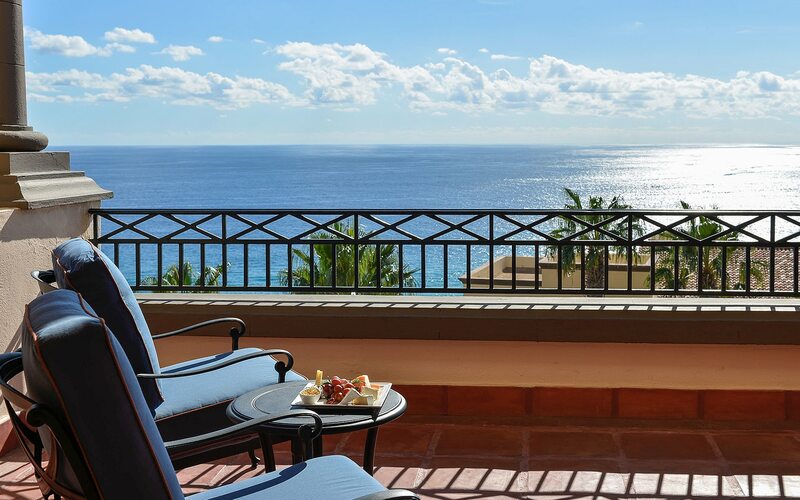 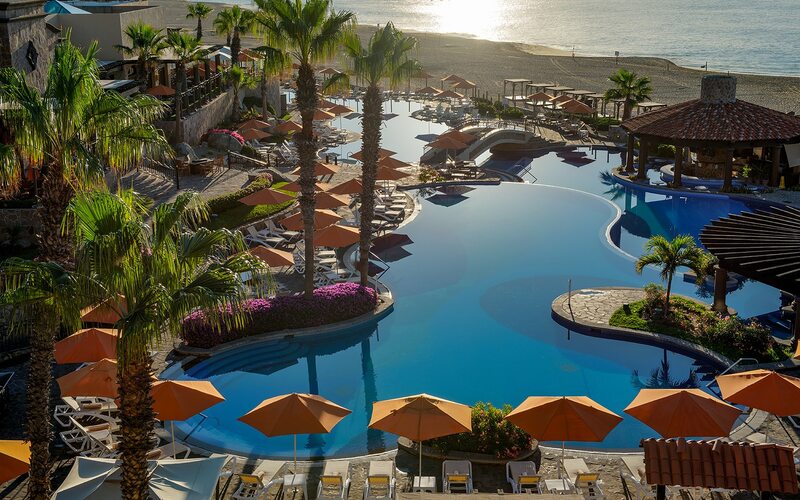 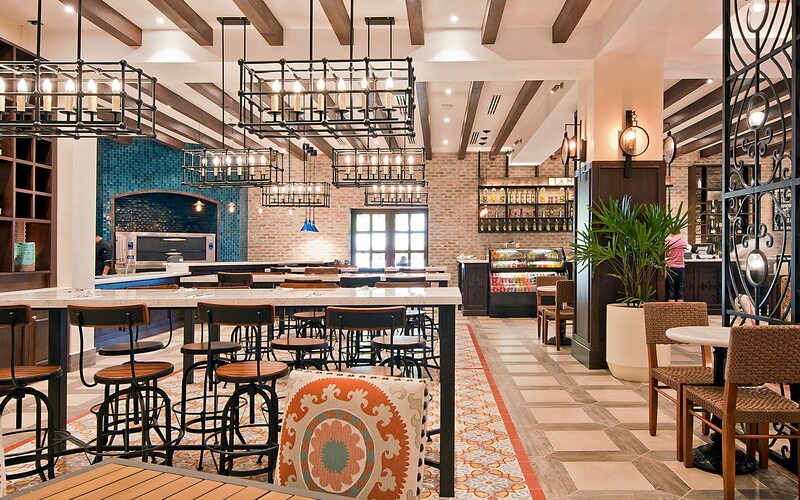 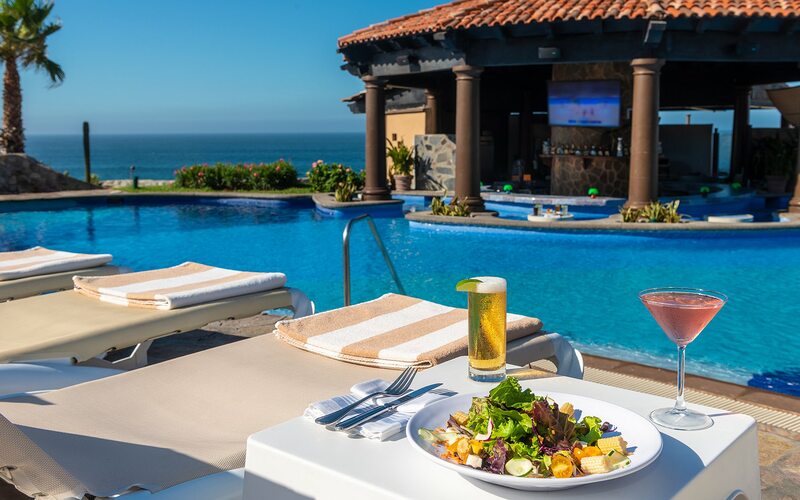 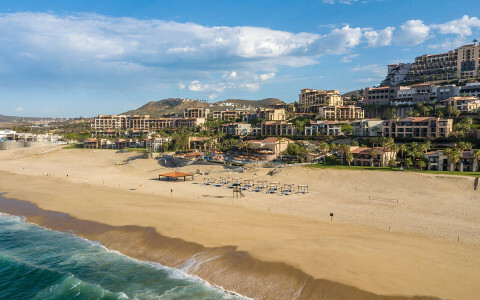 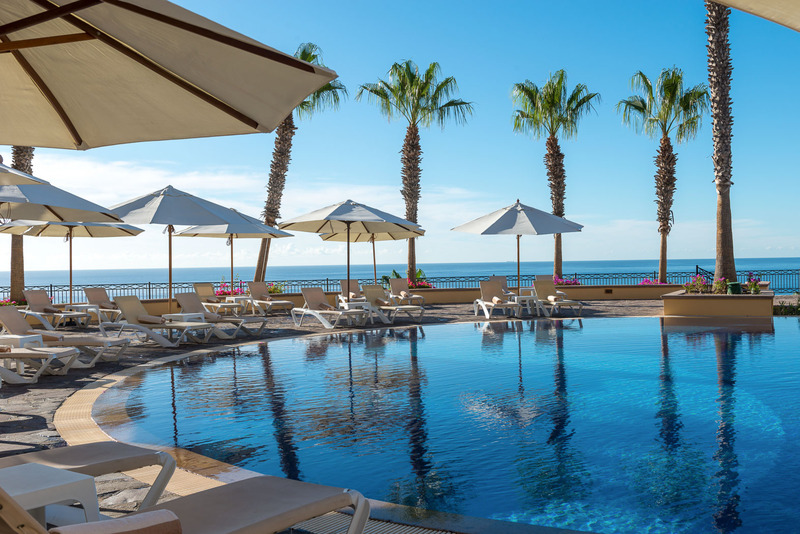 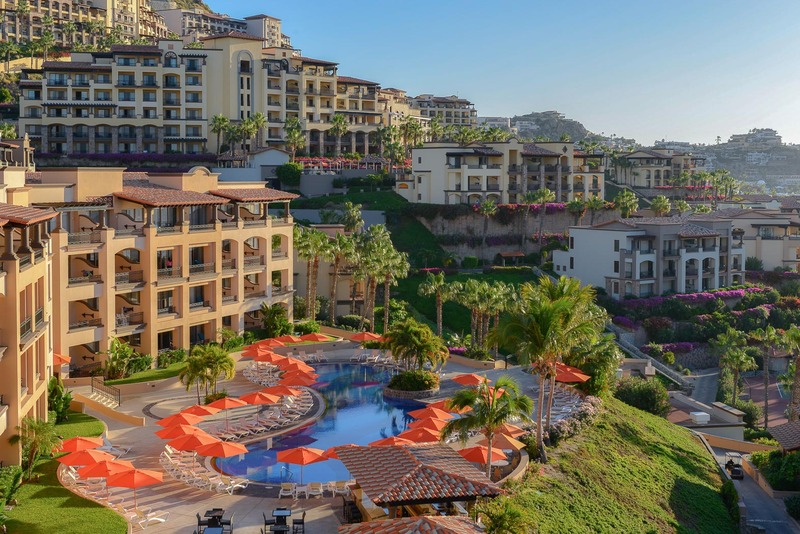 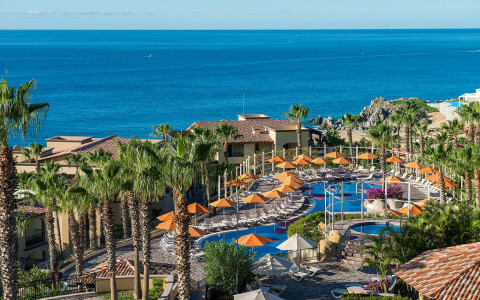 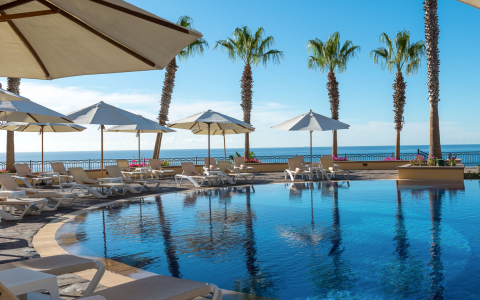 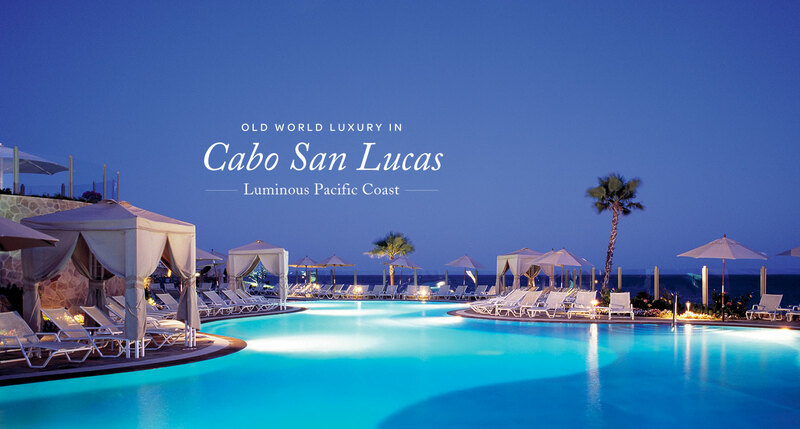 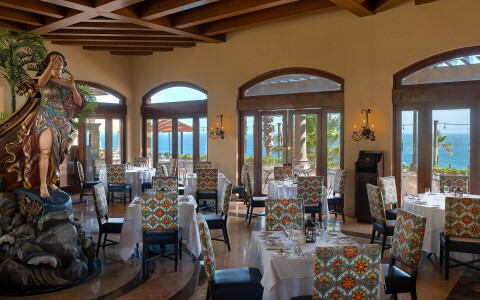 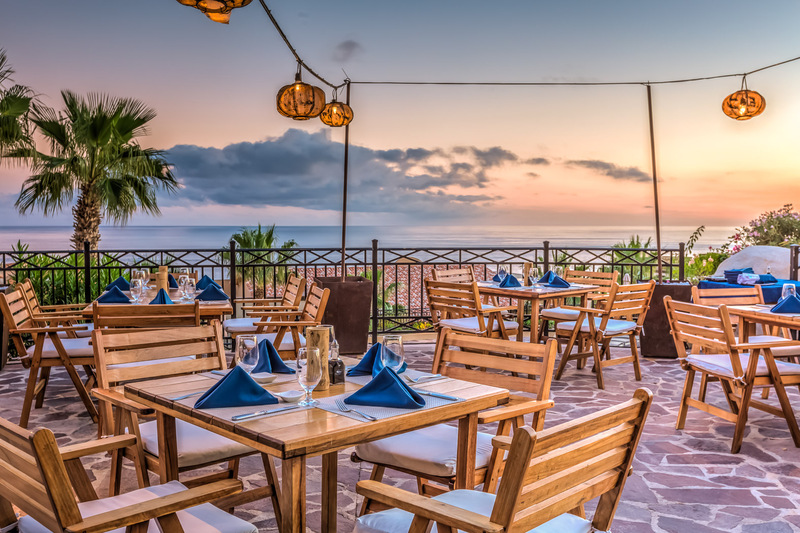 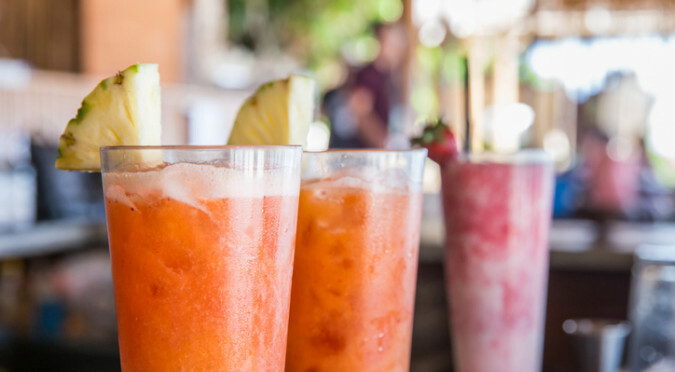 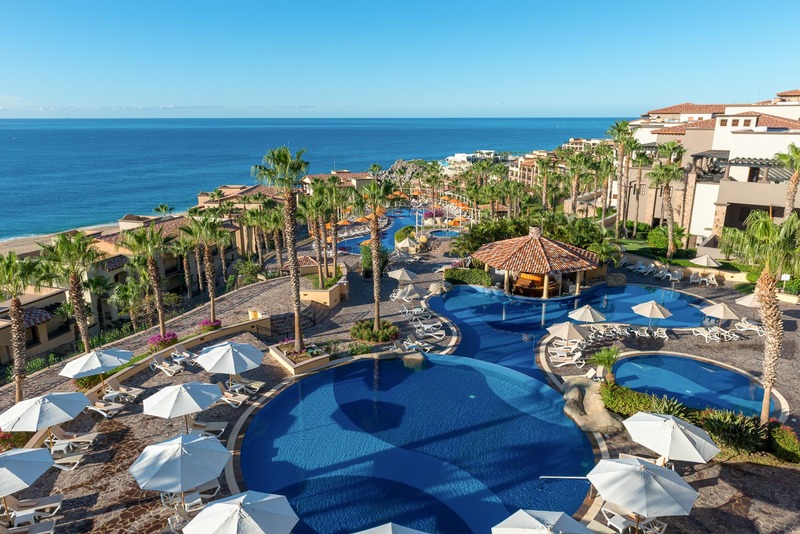 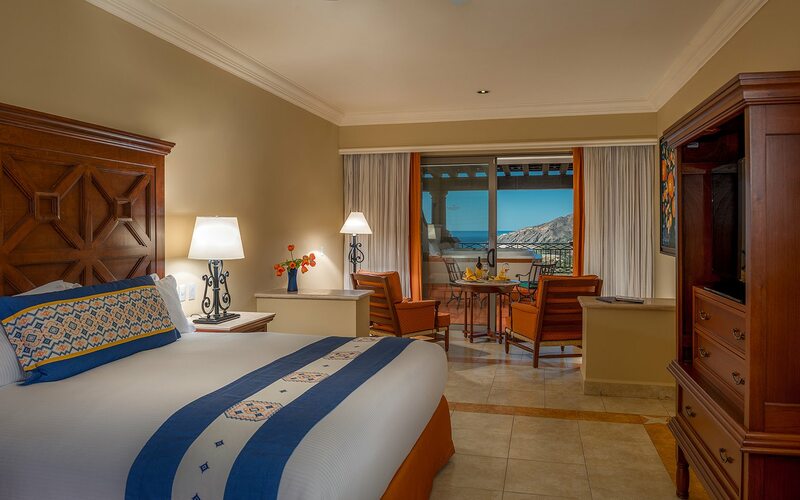 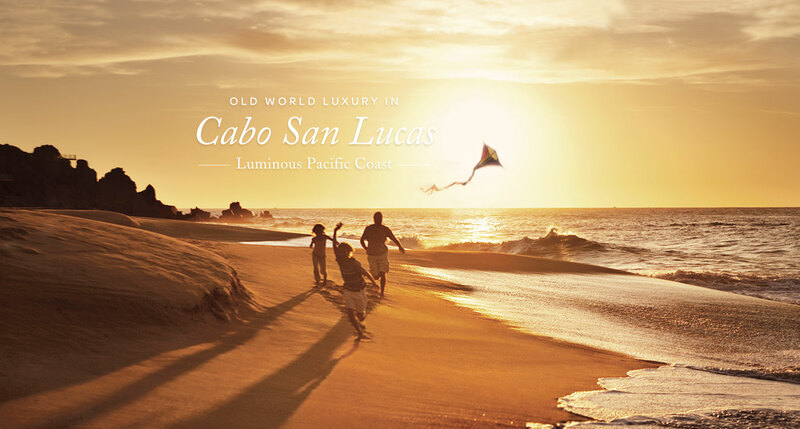 Situated within the exclusive residential development of Quivira Los Cabos and overlooking the Pacific Ocean in sun-kissed Cabo San Lucas, family-friendly Pueblo Bonito Sunset Beach is an all-inclusive luxury resort blissfully secluded on a private coastal bluff. 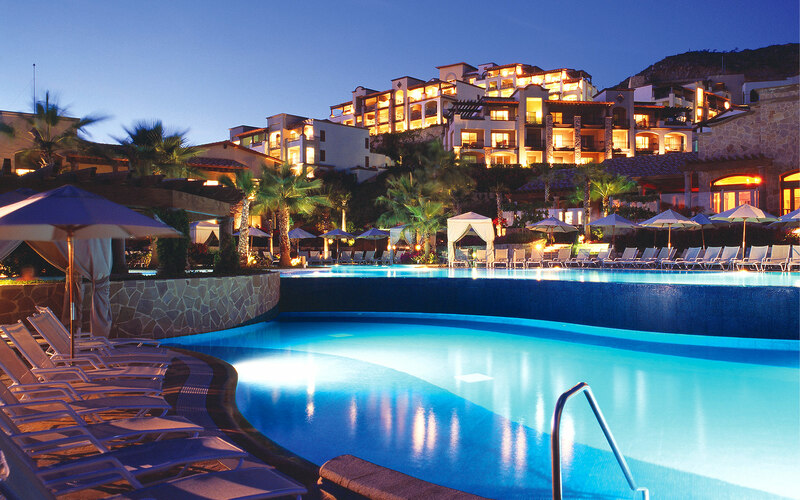 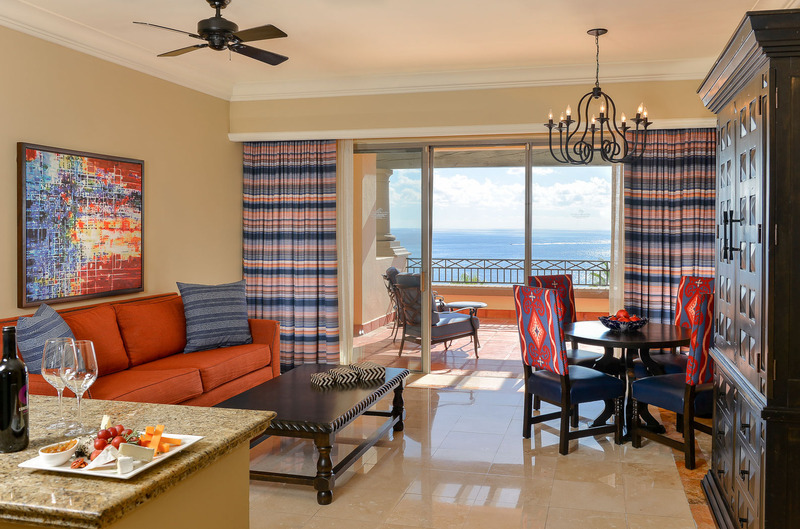 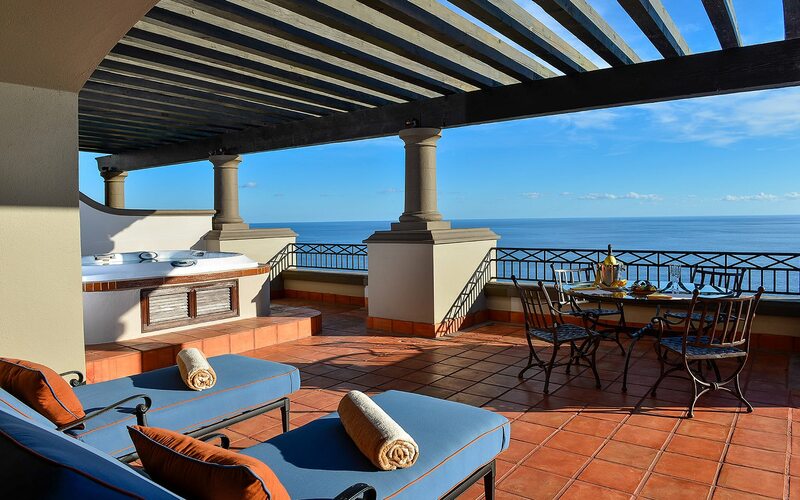 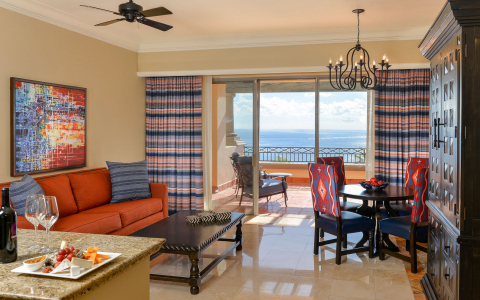 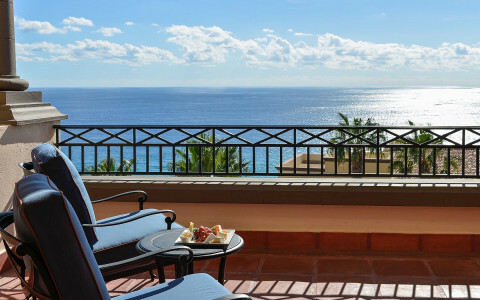 This prime location offers both tranquility and convenient access to the vibrant downtown corridor of Cabo San Lucas. In addition to an array of restaurants and The Market at Quivira, an enticing culinary food hall, the resort offers the award-winning Armonia Spa, private beach privileges and exclusive access to the Jack Nicklaus Signature course at Quivira Golf Club, a thrilling layout that scales the heights at Land’s End. 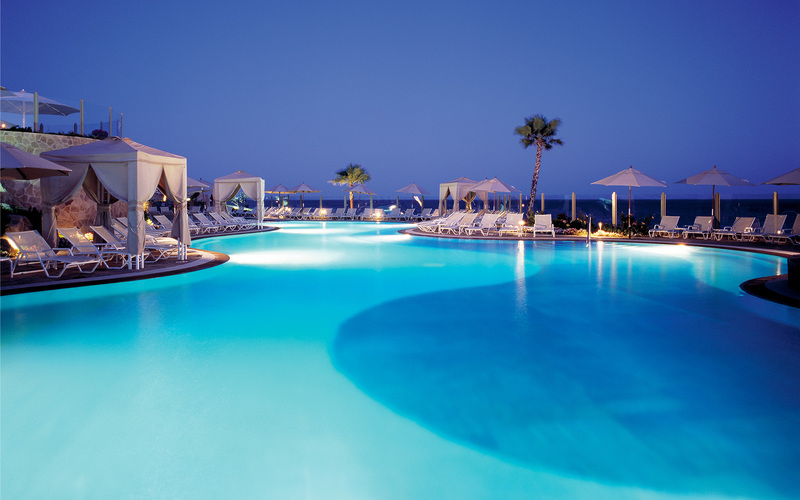 Choice to Pay In Full or One Night’s Deposit. 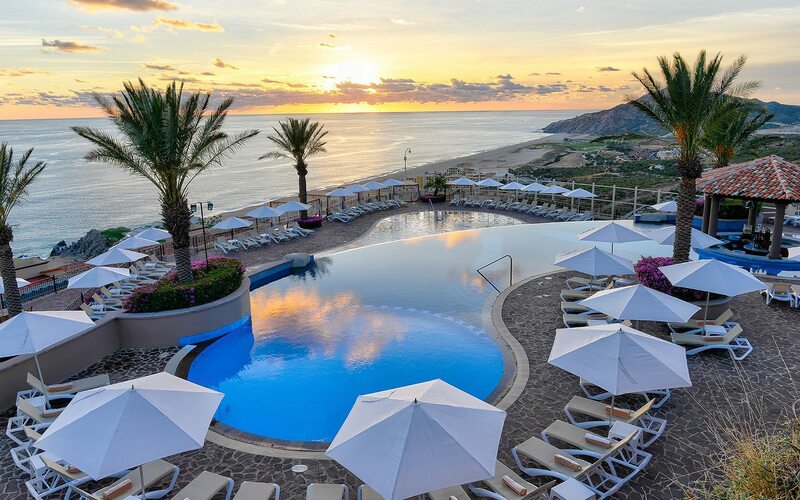 "Gorgeous resort right on the beach (but cant swim there). 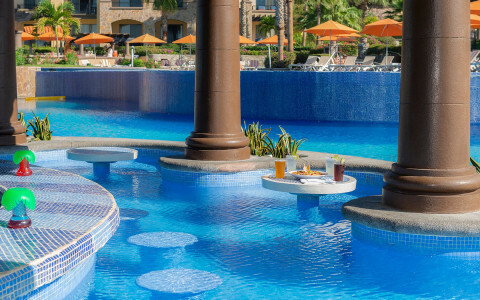 Many beautiful swimming pools with full bar service." I was there of for 2 weeks and worked out, swam, or walked everyday. Over the course of my stay, I had a chance to sample all of the classes offered by Alex at the gym, they were all phenomenal. 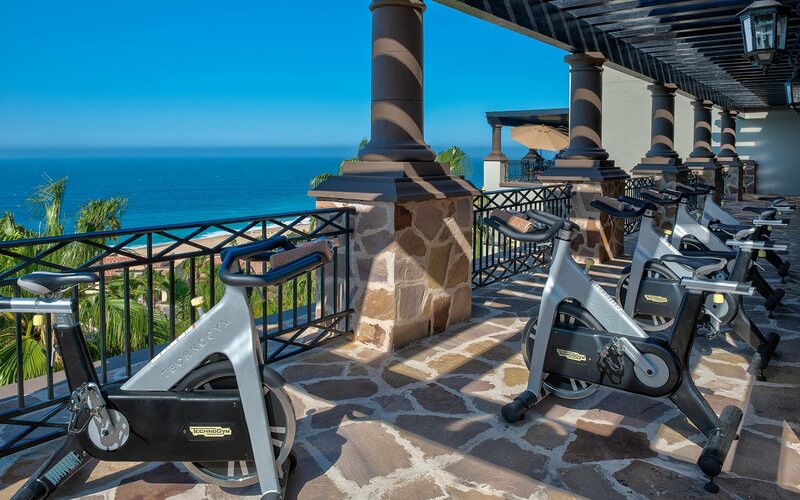 Alex is very good about personalizing your training experience and accommodating any injuries etc. 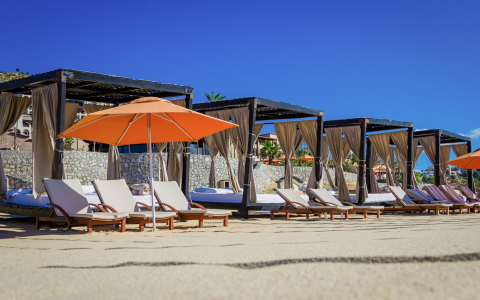 No two classes were ever the same so it was never boring. 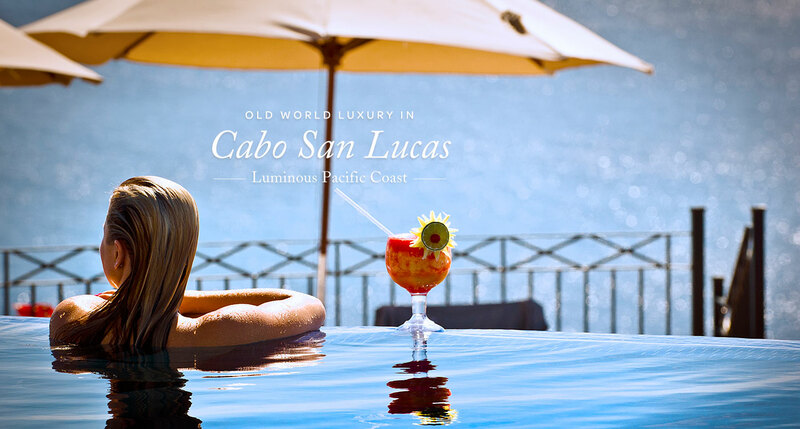 Do yourself a favor...if you need a relaxing get away, this is the place for you. 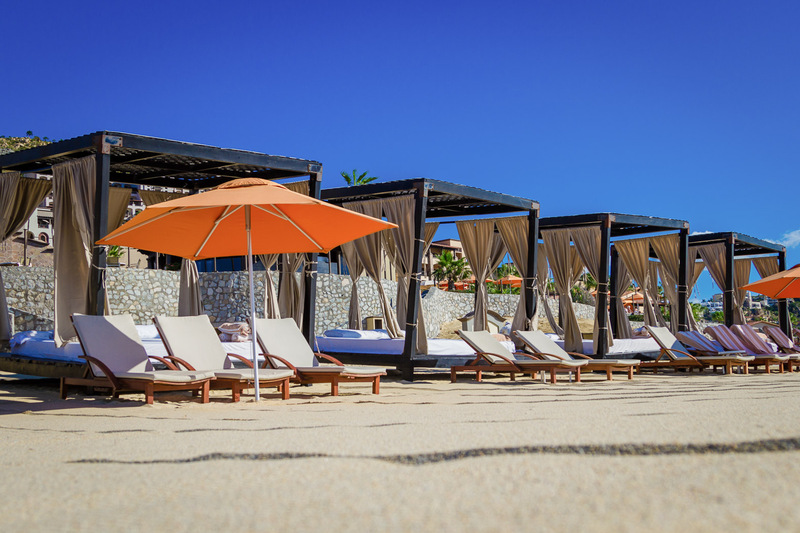 First time at sunset beach and it won't be my last. 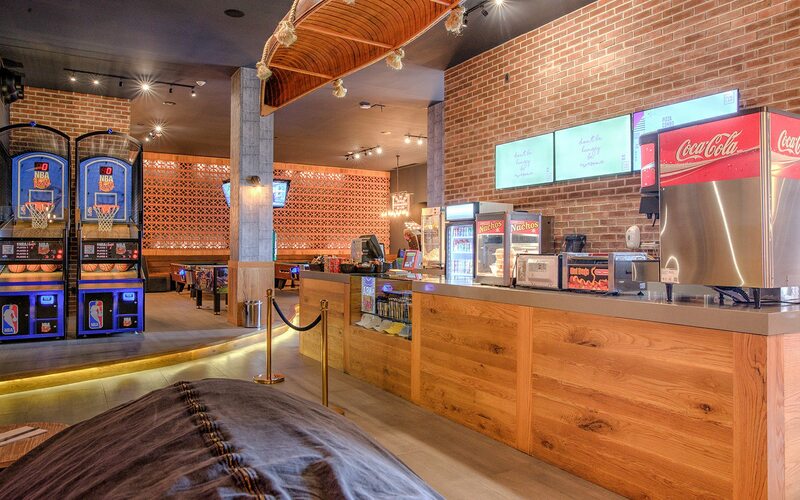 Everything was excellent. 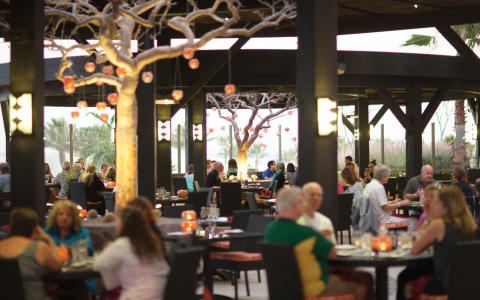 Especially the entertainment/ activities crew who kept us dancing and having an incredible time!!! Can't wait to come back!!!! 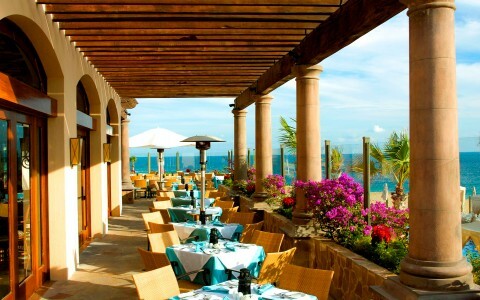 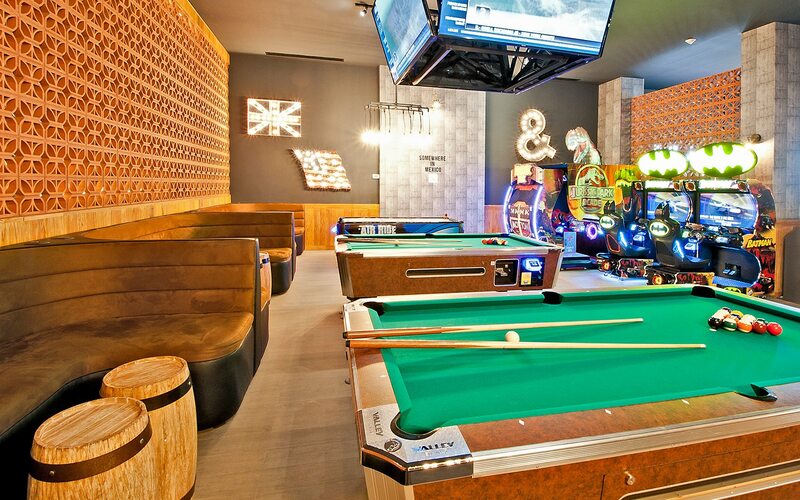 My friends and I always stay here, service is excellent and everything is in very good condition. 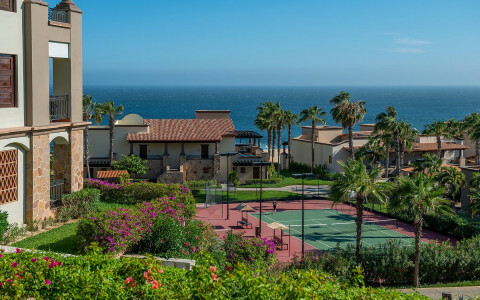 The resort is big and as is located at one side of the hill, it can be exhausting walking around the resort, but you can wait for shuttle service to take you wherever you need inside the property. 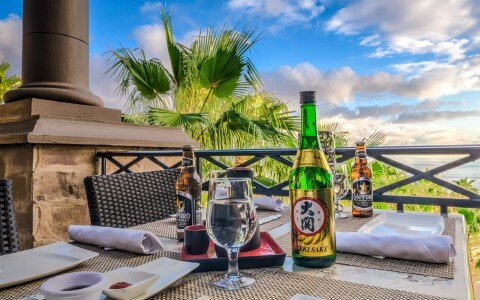 "Japanese restaurant at Sunset Beach"
We continue to come to Sunset beach. 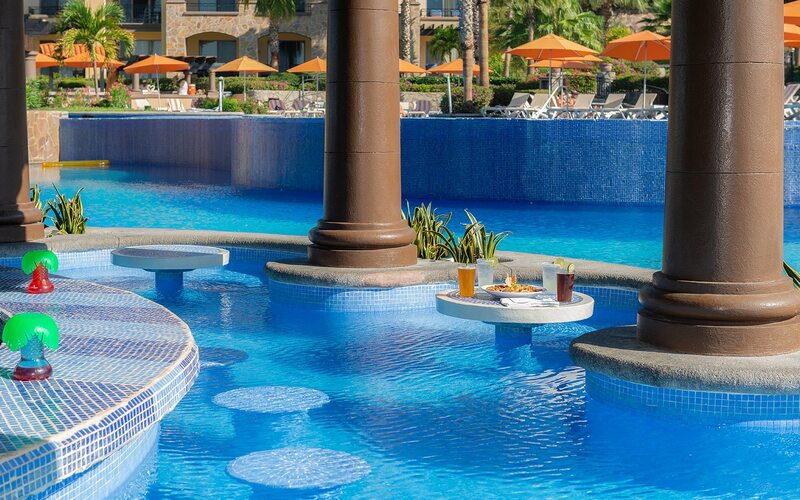 Pools are great. All the restaurants are very good. 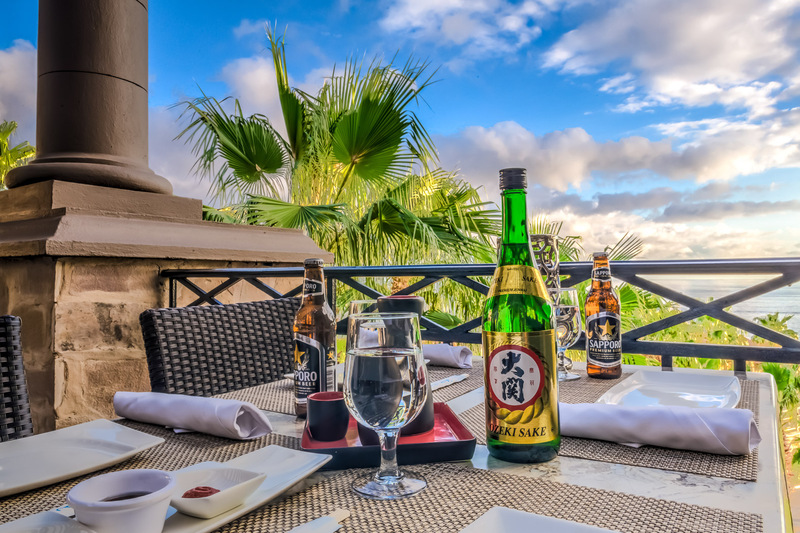 When you think of Mexico, you probably never think of Japanese food, but we tried the Japanese restaurant this time. Outstanding! 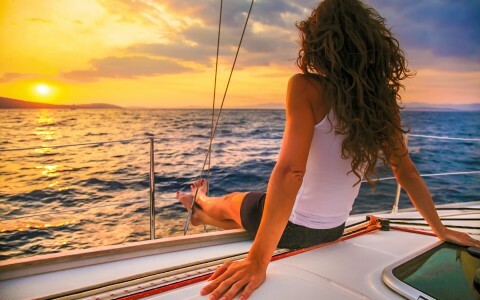 We will visit each time in the future. 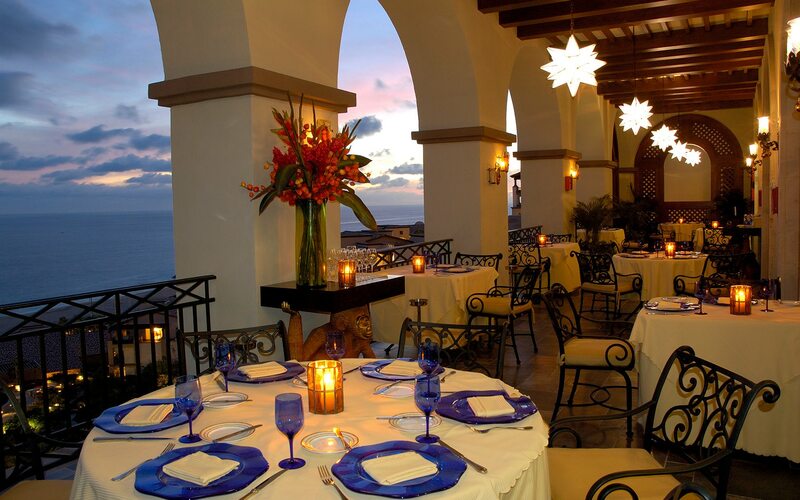 Guillermo Alberto was our waiter. 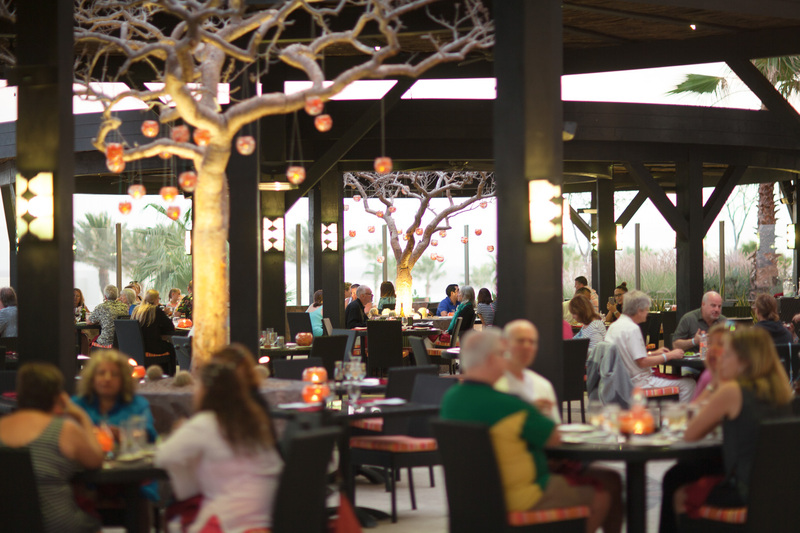 Her was very helpful on food selection and was right on. 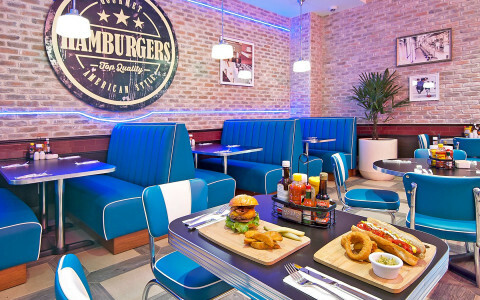 Very pleasant seating. 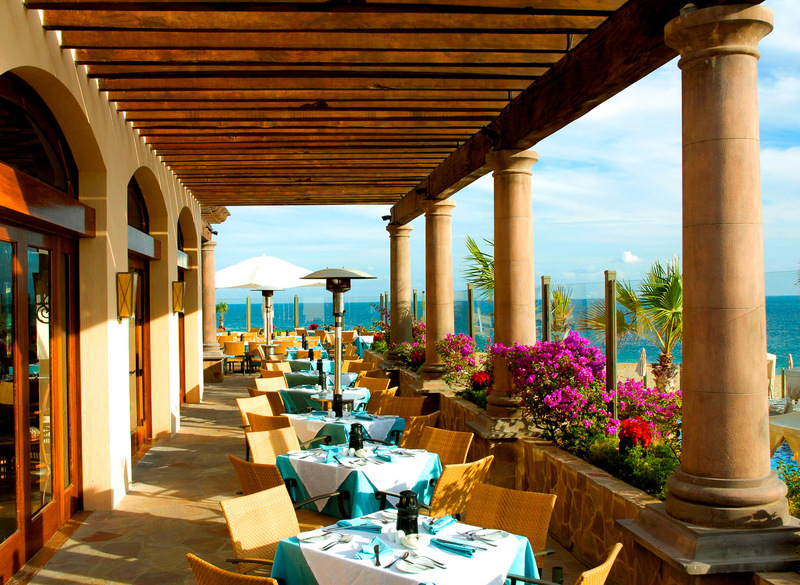 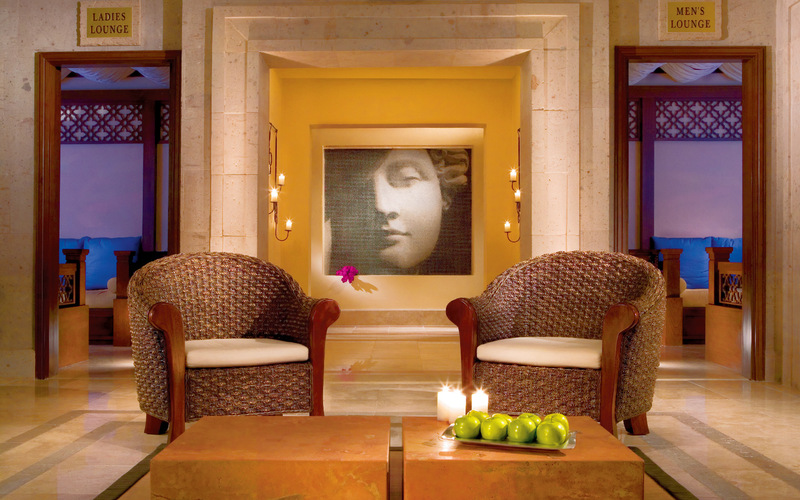 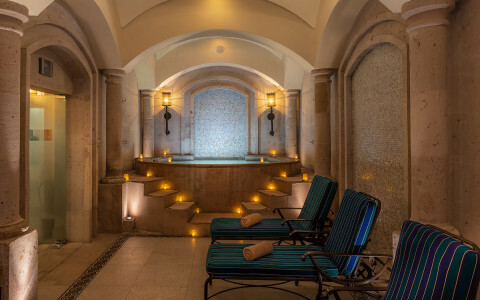 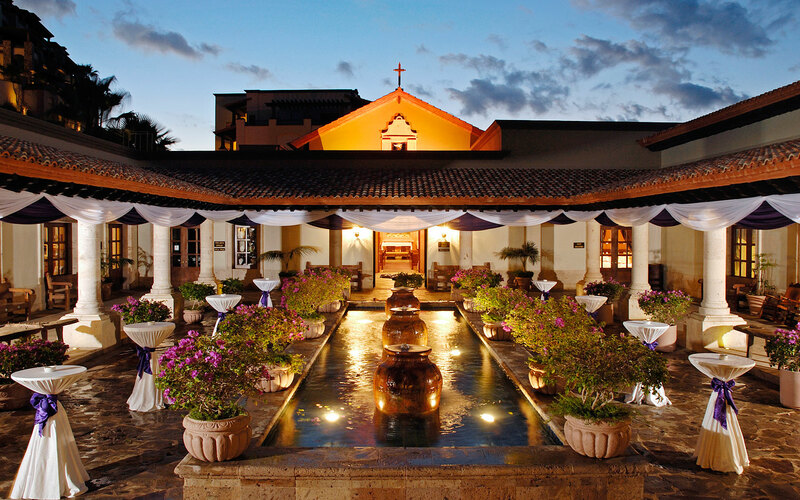 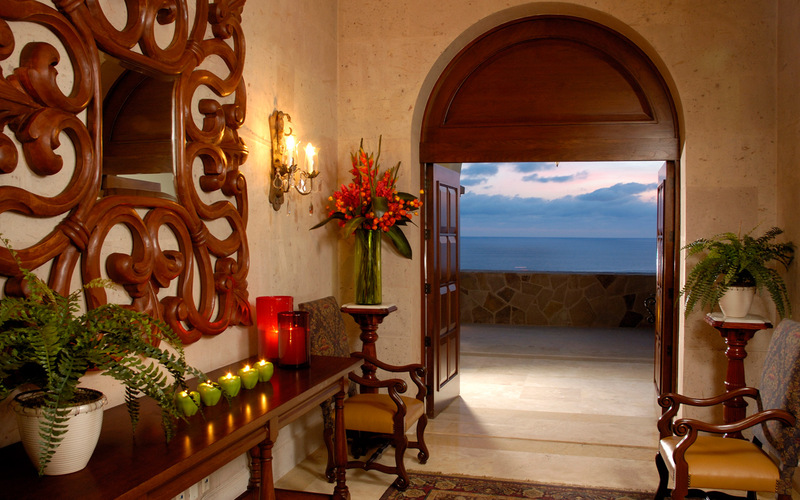 At Pueblo Bonito we believe in a holistic approach to health and wellness. 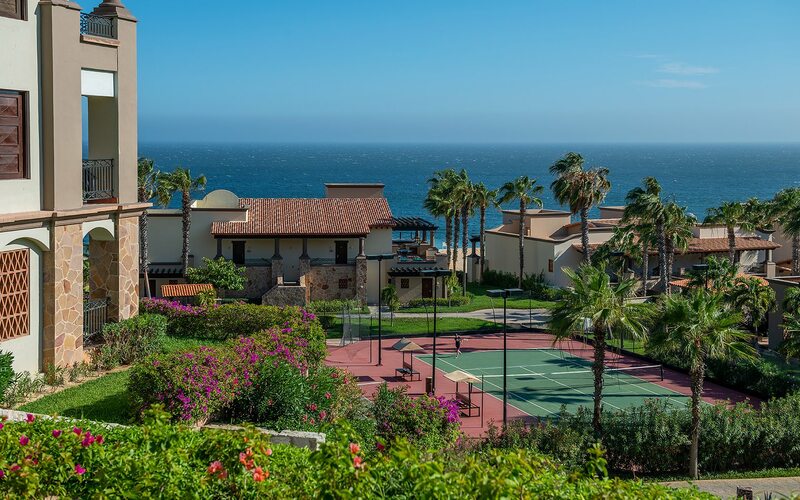 As part of this dedication to nourishing mind, body, and soul, we’ve launched an exciting new addition to The Market at Quivira.